Blessings, we are the Arcturians. We would like to take you through a corridor together. So all of you imagine your entire group in a huge circle and imagine that this circle goes all around your country, your area on Gaia’s body. And take a moment to allow that imagination to come into your mind and expand the circle beyond your country so that all of the corridors and all of the areas that are interfacing with your country will get the same blessing and will get the same amount of Light. Now, I’m going to ask that each of you take your own specific area, your specific neighborhood or city and put a circle around your area or any specific area that you would like to send special blessings too. Are there any areas that are having a difficult time such as strife or political disorder? Be sure that all of you in your collective consciousness put a circle around that specific area. We are going to see the big circle all the way around as the major portal. So, all of you standing within that major portal – feel how this major portal all around this country goes first down, down, down to the core of Gaia so that it can be grounded in the center of Gaia because, just like we make our human changes from the core of ourselves, Gaia makes Her changes from Her core. See yourselves moving down, down, down through the rocks, through the magma, through the caves, through the canyons – down through all the different areas of Gaia’s inner Self. And then you come upon her Core. When you come to Gaia’s core, the Lemurians rush to meet you, all the Ascended Masters come to meet you and the Galactics who have taken residence in Gaia’s core for this NOW come to meet you. You are also greeted by many of the alternate and parallel expressions of your Multidimensional SELF. Just experience this great celebration of We are Here for Gaia, as you feel the Joy that we are Here for Gaia. Now feel this wonderful energy field and imagine yourselves gathered as a huge circle, which is much like an immense wheel. Each of you is a spoke of that wheel. You are joined on the outside just like a wheel is joined on the outside. Also, each spoke of the wheel is joined in the center by a hub. Thus, all of you see this hub of the wheel. And, this hub of the wheel is right there within Gaia’s central, core crystal. That crystal works as a hub for Gaia all of the time. 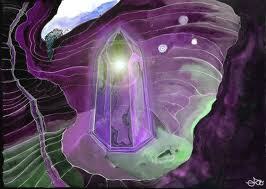 The living crystal is more than appreciative to feel this wonderful energy field of all these people gathered around. To tighten your unity – look right to the circle – and feel how the energy moves around to your right and comes all the way around your circle and then comes back into yourself and you feel that collective consciousness. Look to the left and feel how the energy goes all the way around to your left and feel it comes back to you again with that sense of great Unity Consciousness. Each of you are a spoke that is connected to the hub, and each spoke goes right into the core of the wheel, right into the core of the central crystal of Gaia. So all of you imagine that you are in a circle around Gaia’s central Crystal, which is so huge that you can barely see the top of it. You have an energetic field that goes from within you into the core of the crystal and back into your form. You have an energetic field that goes counter-clockwise all the way around your circle and an energetic field that goes clockwise all the way around your circle. 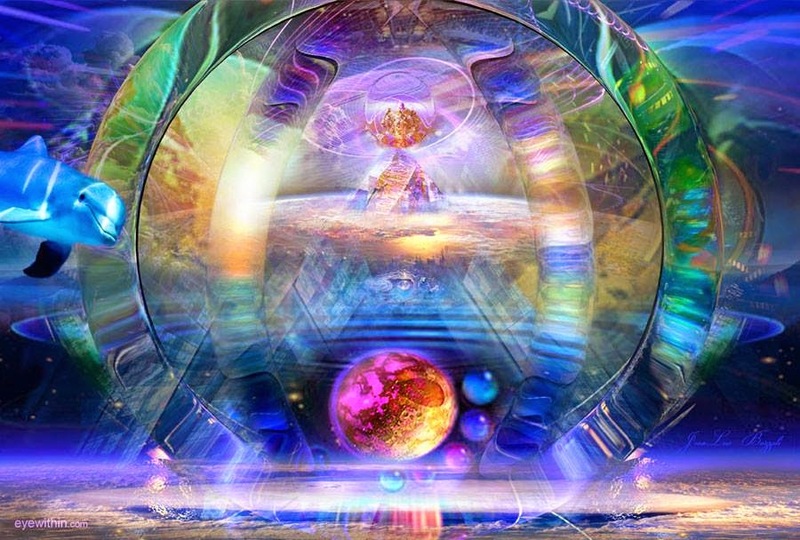 See how you have created an “Ascension Machine.” This Ascension Machine is taking all of the beautiful energy that all of you have gathered together to create this portal for Gaia. You are grounded into the very core of the planet. Now we, the Arcturians, ask that you feel how the energy from that core comes up from the bottom of your feet and into your root chakra at the base of your spine. That connection is your grounding. And, from the base of your spine, ground your energy into the Core of Gaia. As a group you are going to raise your energy field up from the core of the planet and into your country. 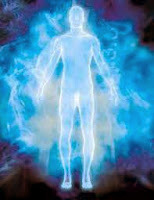 Feel how this energy field remains in the Core while you simultaneously duplicate your energy field. Duplicate it like you would duplicate on your computer – right click it and duplicate it. You are not taking it away. You are duplicating it, and you can duplicate this millions of times. It will never degrade because it is based on the Unconditional Love that you all have for your planet and for your home. You feel the energy coming back, back, back up and, as it breaks through the crust of the Earth, you feel this energy field come in to your physical body. Can you feel how this energy within you has now been greatly amplified because you have invited Gaia to join you in this process? And you have connected yourselves to each other in deep Unity Consciousness within the Core, as well as connected yourself to the Central Crystal which is the Core of Gaia’s Life Force. Now we ask that you maintain that connection while you also move your energy field higher, higher, and higher up through the atmosphere of Earth beyond the third dimension through the fourth dimension and into your higher expressions of Self in the fifth dimension. Each of you take a moment to use your imagination, as you perceive your Higher Self move towards you and congratulate you – thank you, thank you so much our dear representative to Earth. Thank you so much for fulfilling your duty that you chose to take before this incarnation. You chose to assist with planetary Ascension. We are very grateful to you for this great assistance that you all giving. Each of you individually connect with your higher expression of Self and feel how a higher energy field moves into your awareness. You will most likely feel this moving up and down your spine because that is the location of your innate kundalini force. That is where your latent, innate Light Body is waiting to burst forth so that you can release your cumbersome third dimensional, fourth dimensional bodies and burst into your fifth dimensional Lightbody. However, because you are loyal and dedicated to your service to Gaia and to your specific country and your specific areas within that country, you maintain a physical vessel. You make this sacrifice because you see yourself as a very important grounding point. You are a point in which there is an open portal. Again, remind yourself that you are in these higher frequencies. Take a moment and look at the Lightbody that you are wearing. You are now blazing Golden, moving, shifting, and alternating Light. You have become that because you have connected with your higher expression. So feel how your higher expression standing directly in front of you steps towards you as you step toward your higher dimensional Self. Each of you take a long, slow, deep breath as you allow your physical expression to fall into, surrender into, merge with, your fifth dimensional frequency of Self. Can you feel how you glow like a million stars? Can you feel that immense power that you each individually have within yourself. Now take a breath and remember to go all the way down in your consciousness, remain connected with your Higher Self, keeping consistent – do not forget that. Stay there within in your Multidimensional Self so that you can be many, many Beings within the same Now. Hold on to your Multidimensional Self. You are connected to your fifth dimensional expression who is the portal to all of your higher dimensional expressions. Maintaining that connection allows your consciousness to also move down through the atmospheres of Gaia, down through the fourth dimension, down, down into the very core of Gaia again. Find yourself in that energy field that you have all created and connect with the “spoke” that is YOU. Now your highest expression of Self is plugged into and connected with the expression of your Self who is within the Core of Gaia. From that frequency pathway, we ask you to go back up the frequency pathway that you have created for yourself to your higher dimensional Self. This time we are going to have the group meet together in that fifth dimension… NOW, focus on your Multidimensional Self as it merges with all the Multidimensional Selves within the core of your fifth dimensional circle. Within this reality that YOU have created, there is only here, there is only now. You are All One. You are All One, but you also feel your spark of individuality. Sometimes you use that spark and sometimes you completely surrender into the Collective. Those times are within the NOW. So when we say times, we say that so that you can understand what we are saying. But now we will say it in a fifth dimensional picture in that you all flow into the Collective. Then every now and again you flow into the Collective and feel a knowingness that you are to move into that which is your more individuated expression calling you back to work with Gaia. 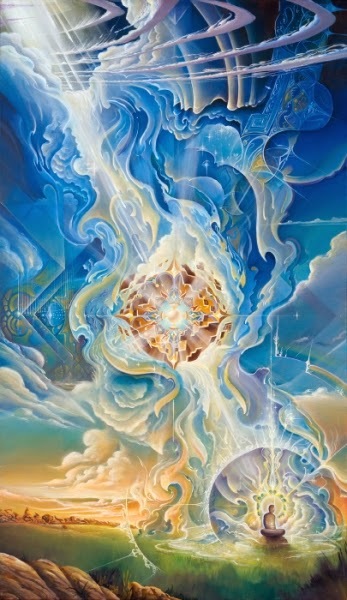 To work with Gaia it is best to be connected with that component of yourselves that those who are still living in polarity are able to perceive us in the higher worlds. From your place in the higher dimensions, form your group. Look to your right and look at all of the higher Selves of your group. Hello, hello – congratulations. Oh, aren’t all of you lovely. What a beautiful higher Self you have. All of you can talk amongst yourselves and maybe laugh and shake hands and say, “Isn’t this great and aren’t you a beautiful Being. I’m so happy to get to see you at this frequency of your expanded Self. “ Then you look to the right to feel that energy go around and bonding you and bonding you. Now as you look to the left to see the same. 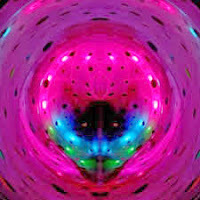 Feel that connection of your Lightbody as it goes around to the right, around to the left – counter clockwise and clockwise. 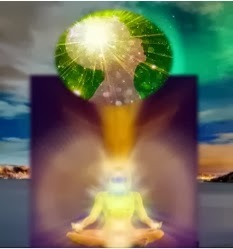 Now remember that we have had you connect with your individuated expression in the core of Gaia. Thus, each of you in this fifth dimensional circle is sending your energy field, your Multidimensional energy field, down into the personalization of the Earth vessel that is in the core of Gaia. We ask that all of you take a moment of silence to perceive this Portal. And, you can see that it is much like a long tube with an opening at the top in the higher frequencies and an opening at the bottom of the Core of Gaia. And that tube of course is of golden, Multidimensional Light. Now, slowly and gradually take that picture and place it in your High Heart which is between your physical heart and your physical throat. Your High Heart is right on your thymus gland. Your thymus gland is your healing gland. Thus, as you place this image right there on your High Heart, your thymus gland, you allow yourself to enjoy health so that you can maintain this process so that you can assist your physical body as it moves through it’s major transmutation back into the LIGHT.